The secret to get the perfect crispy waffles is to have all ingredients really cold. And I also use soda water in the batter instead of still water and you add that just right before you cook the waffles. 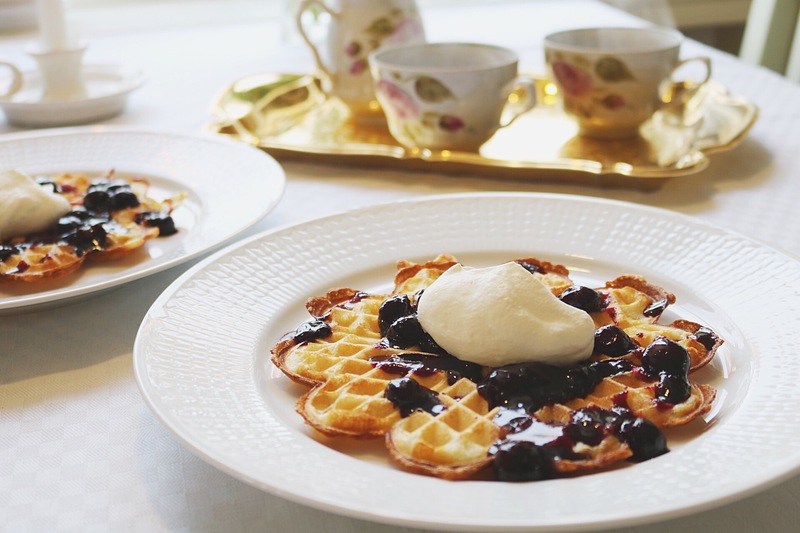 Here is my original recipe for the waffle batter, but you can also flavour your waffles. Like adding chopped chocolate, grated coconut, ground hazelnuts, or cinnamon. Very easy if you would like to try something different. 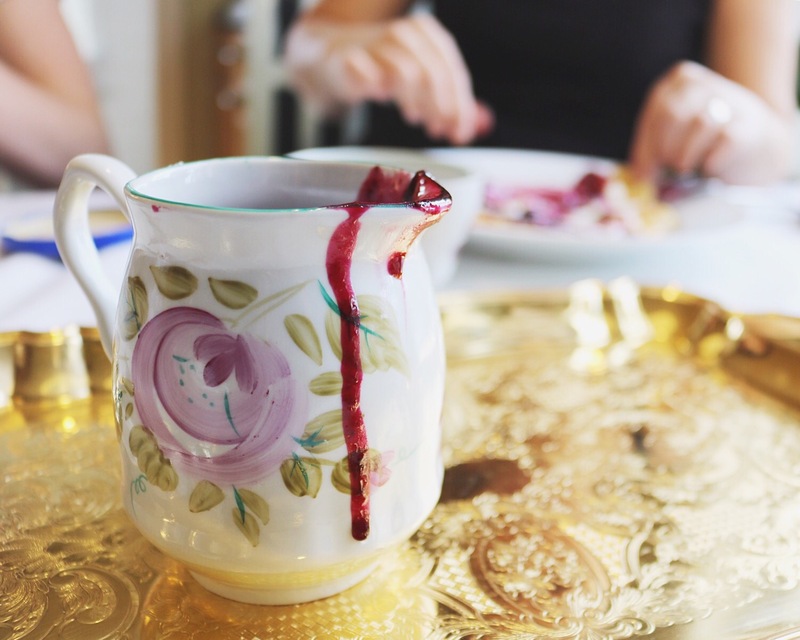 But this time I made a super delicious blueberry sauce that is very easy to make. It turned out so good and I served it with some light whipped cream. In a small saucepan, placed over medium-heat, add the blueberries, lemon juice and syrup. Bring to a boil. In a small glas combine the cornstarch and water and whisk until smooth, gradually stir into the berry mixture. Bring back to a boil and cook, stirring constantly, for about 2 minutes, or until thickened. 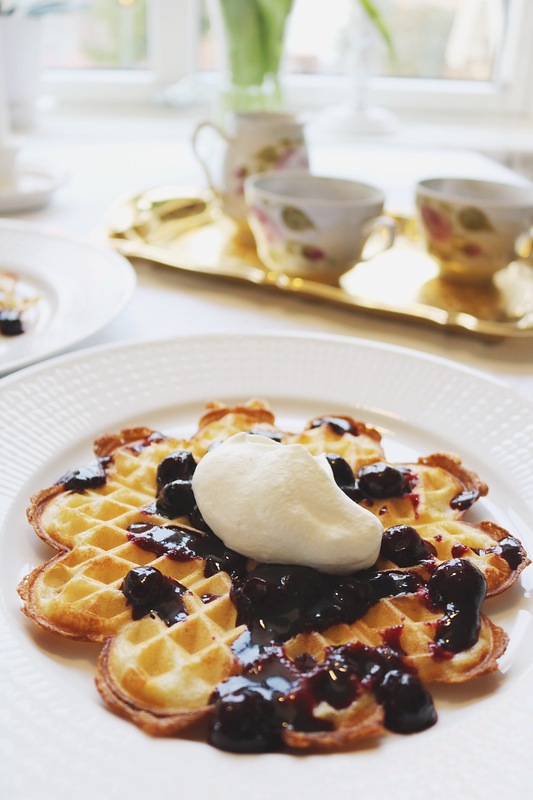 Serve warm with waffles. Whisk together milk, flour and eggs. Add the baking powder, butter and the soda water. 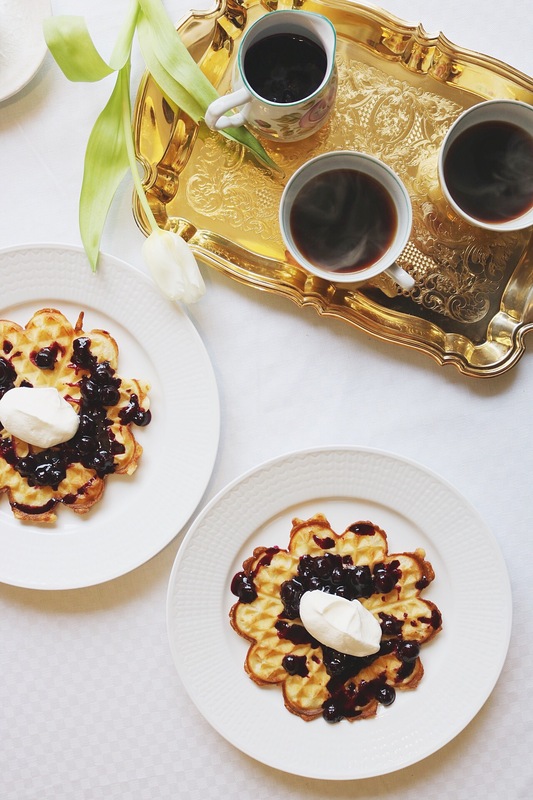 Heat the waffle iron, add lightly some butter and bake the waffles until golden brown. 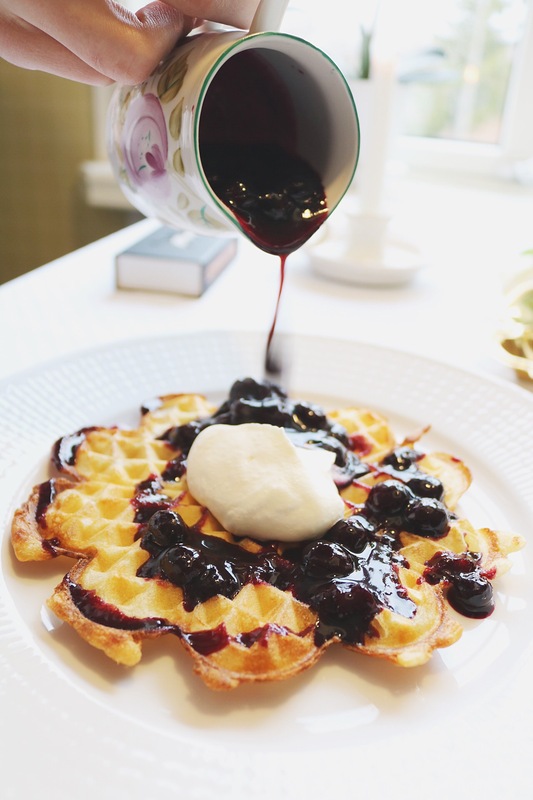 Serve with the blueberry sauce and light whipped cream.